Trying to decide between Intrepid Travel and G Adventures? These travel companies are often compared - sharing similar values and travel styles. To help you determine which one is best for you, our ultimate guide is here to help! Read on for our Ultimate Guide comparing Intrepid Travel & G Adventures! Both G Adventures and Intrepid Travel specialize in adventure travel that doesn’t break the bank. They are top companies to consider if you enjoy a local and off-the-beaten-path feel with all the comfort of having logistics taken care of - and a good balance of free time. Each highly values responsible travel, conservation, and sustainability - though this is not usually the core driving force behind most itineraries and activities during your tour. When they first began operating tours, some 30 odd years ago, both G Adventures and Intrepid Travel had a more central focus on budget adventure for the 18-39 year old age group. Today however, they have both expanded beyond this, offering a larger variety of budget ranges and activity levels. G Adventures has a partnership with National Geographic, through which they provide tours with a higher comfort level and more premium accommodations. These tours, called “National Geographic Journeys” are a great choice for older adventurous travelers or families. Similarly Intrepid has two other brands geared toward more specific age groups. Their brand Peregrine, specializes in more premium tours and cruises. They are perfect for multi-generational travel or older couples and groups of friends. Intrepid also has a youth brand, Geckos, with adventure trips specifically designed for 18-29 years olds. Note: Geckos is no longer a separate brand. Intrepid has introduced a new theme of 18-29 trips available through the Intrepid Travel site. Basic accommodation in the camping, 2 star, 3 star range is what you can expect on many trips. This can involve anything from a multi-bed hostels to camping, a comfortable yet no-frills hotel, or a homestay with a local family - a popular options offered by G Adventure for their “Local Living” trips. Intrepid offers several “Overland” trips, where there is a community aspect and expectation of travelers to get involved with setting up and breaking down camps and assisting with meals and cleanup. Intrepid and G Adventures are classified as “small group tours” which typically means a max of 20 travelers, and usually less. A small group tour allows travelers to have a more authentic and local experience. On average, Intrepid trips are have a smaller group size than G Adventures, averaging around 10 travelers, whereas G Adventures averages around 15. Because a majority of G Adventures and Intrepid Travel trips are still geared toward a young adult audience, there is an expectation of basic physical fitness on most of their trips. That said, both companies have made a conscious effort to include more trips types along a wider range, expanding beyond the “hard adventure” core. G Adventures classifies their trips by Travel Style, while Intrepid breaks it out into Themes. Each have helpful ways of identifying who the tour would be best suited for based on easily decipherable physical level ratings, and how much “culture shock” you can expect. Of the two, Intrepid Travel has a slight edge when it comes to lower costs - but really both are neck and neck. And both offer extremely budget options (where you’ll stay in multi-bed rooms in a hostel or camp) all the way to premium hotels. The average price per day on G Adventures tours is $213, and they are one to look carefully at when it comes to inclusions. This price may not include some meals and add-ons like excursions or day tours. The average price per day for Intrepid Travel is $190, and their price is somewhat more inclusive than G Adventures, meaning you won’t have to pay too much extra for activities during the tour. Important note: Both G Adventures and Intrepid Travel are known for providing generous free time during the tour. It’s for this reason they are especially popular among young adventurous travelers, and a good choice for those unsure about guided travel. However this does mean you will need to plan finances accordingly - you’ll be responsible for some of your own meals, and if there is an activity not included on the itinerary that fits into your free day, it’s on your own dime. Which is the best for Single and Solo travelers? Single travelers are welcome on both G Adventures and Intrepid Travel tours. 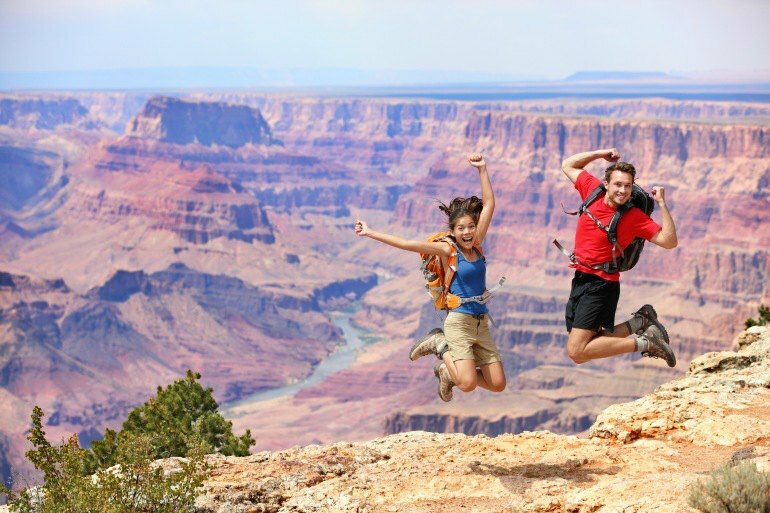 You’ll probably find the most romantic singles on a G Adventures 18-39 tour or traveling with Intrepids youth adventure brand Geckos, which has an age max of 29. Solo travelers will appreciate that G Adventures has no single supplement - a fact that propels them ahead of Intrepid for this category. Intrepid has a mostly no-single-supplement policy, though some of their trips do require it. Save up to $500 on Intrepid Travel and G Adventures when you become a Stride Member. It's free!